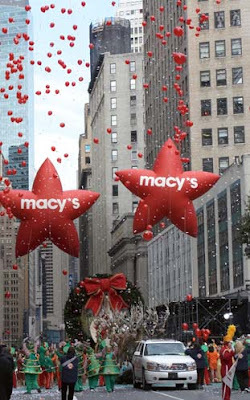 Isiah Factor | The Insite » THE MACY’S GLITCH THAT MAY HIT US ALL! THE MACY’S GLITCH THAT MAY HIT US ALL! December 30, 2008 | Posted in Uncategorized | Comments Off on THE MACY’S GLITCH THAT MAY HIT US ALL! CHECK YOUR BANK STATEMENTS AS SOON AS POSSIBLE! If you shopped at Macy’s on the Saturday before Christmas – one of the season’s busiest shopping days – and paid with a debit card, carefully check your bank statement because a computer glitch may have caused your account to be debited twice. Macy’s Inc. spokesman Ed Smith said a “very small number” of customers were affected, but he didn’t know exact figures. Macy’s Central division, which includes Texas, has 236 stores in 18 states in the South and Midwest. The East division operates 253 stores in 20 states and the District of Columbia. The glitch affected only debit cards and not credit cards, Mr. Smith said. A Highland Village woman said her son bought her a set of knives for Christmas at Macy’s at Vista Ridge Mall in Lewisville. She said he spent $78 for the gift, then later discovered that another $78 had been debited from his checking account. He was eventually charged $50 in bounced-check fees, said the woman, who didn’t want to be identified. While she understood that mistakes happen, she wasn’t too happy about being told to fax her son’s checking account statements. “It’s going to take them up to 10 days to refund everybody’s money,” the woman said. Mr. Smith said Macy’s needs the bank statements to verify that the computer system glitch caused the bank accounts to be overdrawn. “We will have the charges removed,” he said. Consumers should closely monitor their bank accounts to ensure that other checks they’ve written didn’t bounce, said attorney Mary Spector, who teaches consumer law at Southern Methodist University’s Dedman School of Law. “Monitor the checks and recipients of any checks or other payments that they might have paid in the interim to make sure that there are no problems caused by checks and debits attempted to be made in the period before Macy’s discovered the problem,” she said.